京の宿日記 > 別嬪kyotoのレンタル商品に、また可愛い仲間が増えました。I found new cute kimonos for beppin kyoto ! 別嬪kyotoのレンタル商品に、また可愛い仲間が増えました。I found new cute kimonos for beppin kyoto ! 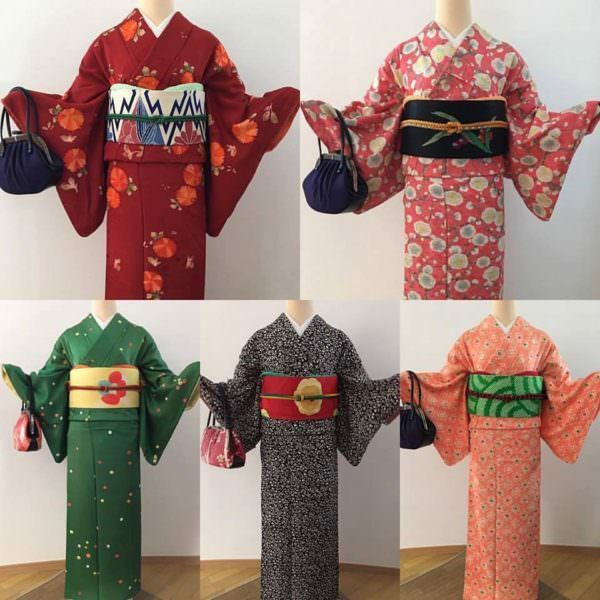 A red antique kimonos with big orange flowers, a cute pink komon kimono with blooming plum flowers, a vivid green super cute komon with colorful dots, they are all lovely ! Un kimono rouge antique avec des grandes fleurs orange, a mignon komon rose avec des fleurs de pruniers, un kimono d’un vert kumineux avec des pois colores, ils sont tous adorables !